The spirit of our Jeep restoration shops is to reproduce and sell jeep parts to help the owners of the Full Size Jeep Truck community – Cherokee Jeep, Wagoneer Jeep, Wagon Cherokee, Jtrucks – and to find the unavailable parts for their own restorations, showroom quality or simply for a daily drive. We reproduce only unavailable parts with a potential of sales from 100 to 200 items minimum. We reproduce only simple parts without assembly. Every time we try to create a kit with all accessory to a perfect mount . Discover more about our motivation in the About Us section. "The goal for us, is that the owners of old Jeeps make time on the road and not lose time in the garage." These Parking Light Signal Clear Lens Covers, called Cats-Eye 105, are made for early year 1964–73 for Jeep Cherokee, Jeep Cherokee Chief SJ, AMC Cherokee Chief, Wagoneer, Gladiator and Jtrucks, so for classic vehicles. This product has not been available on the market for over 20 years. We have reproduced them. These Signals Lights or Turn Signals or Clear Lenses are transparent with a fine chrome trim. They are combined with an orange insert. 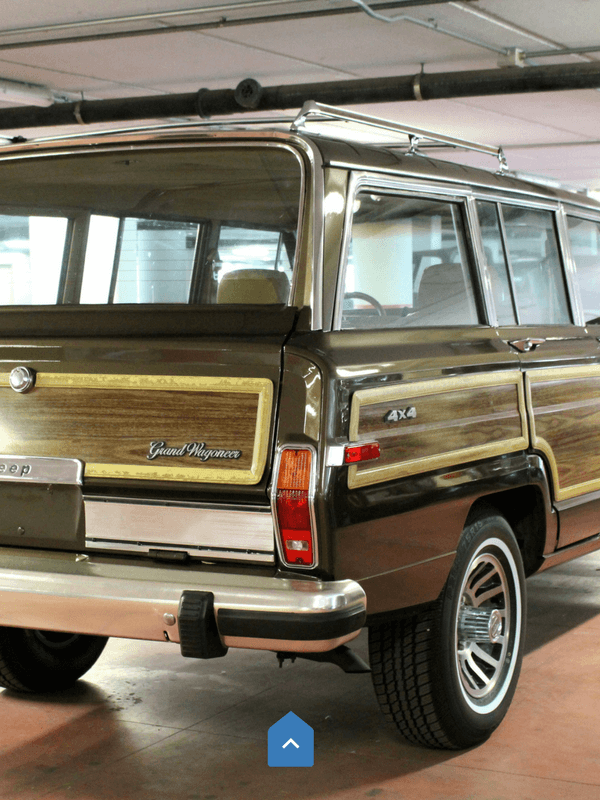 From the 1973–1977 classic car/truck Cherokee, Wagoneer, Gladiator and Jtrucks years, the chrome border was removed. Currently, we are the only manufacturer / supplier for these. Our reproduction of the Turn Signal Lens is absolutely faithful to the original model of Wagoneer, AMC Cherokee Chief and Gladiator, though not fit for the Grand Wagoneer. Our reproduction of turn signals lights for Wagoneer, Cherokee and Gladiator integrates a chrome border in the same way as with the original part. This border is integrated to the inside of the lenses. Not being able to apply chrome to ABS, even in a partial manner, we have used a complex process that involves setting the aluminum in a vacuum (vacuum ION coating) in four steps. These bumper stripes or bumper nerfs are no longer available for several years. I have started a project to rebuild set front and rear for Chrysler Jeep Grand Wagoneer. The goal will be to produce new complete OEM sets for 150–180$. First production of 200 kit is done.